16 Circuit Space integrated load center to allow for essential circuit back up. 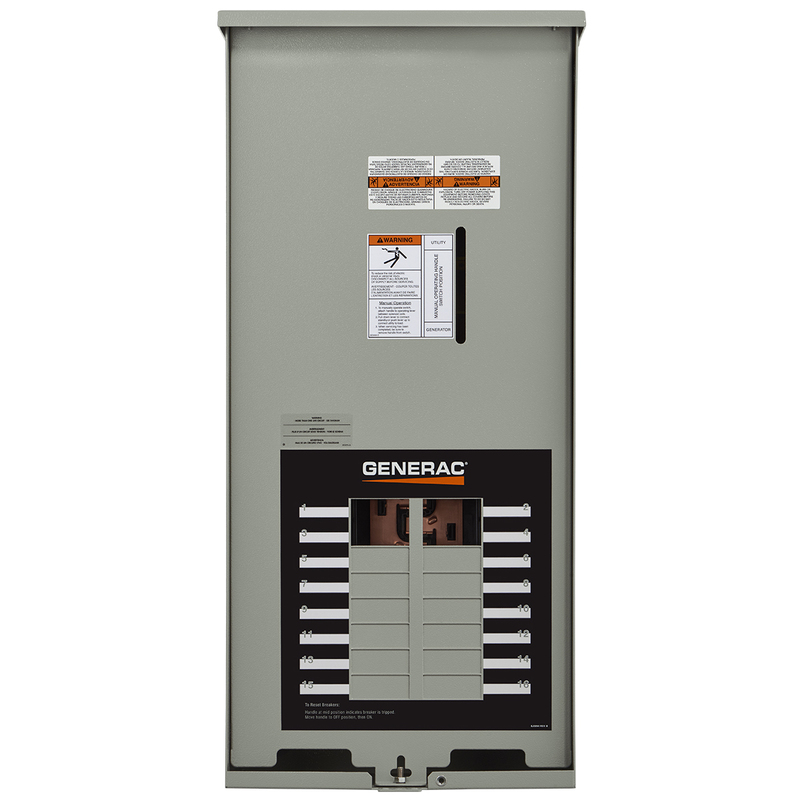 Generac’s Pre Wired Limited Circuit Switch is an automatic transfer switch and distributed load center that backs up selected circuits for essential circuit coverage. Pre wired for the easiest and least expensive installation on the market, it is an excellent value when whole house coverage is unnecessary. Some homeonwers prefer a simple, economical approach. Essential coverage protects only your most important circuits – such as lights, furnace, water heater, refrigerator/freezer and sump pump. Nema 3R 16 Circuit Switch. 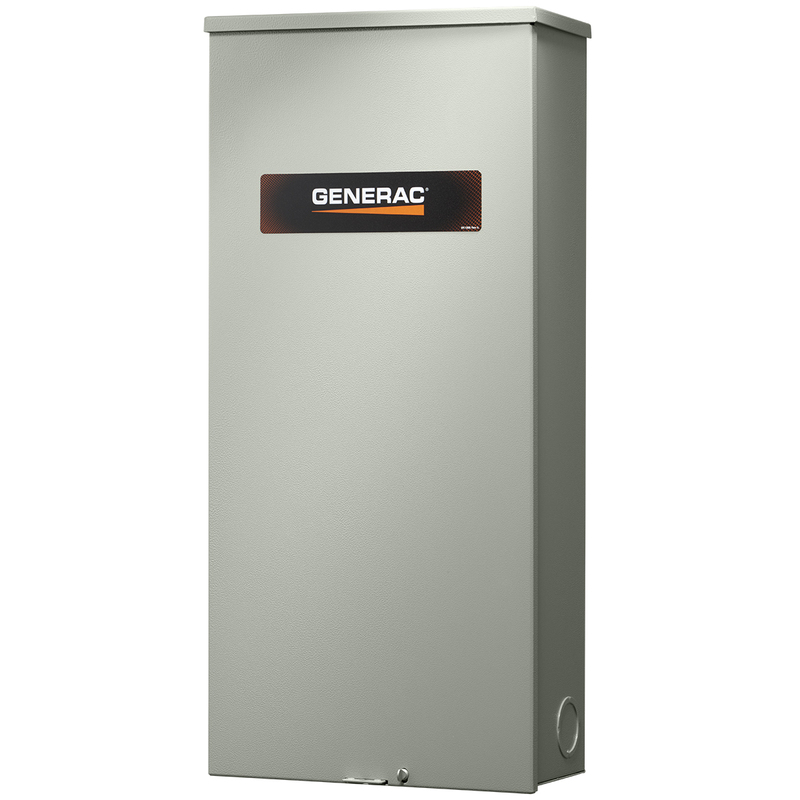 Generac’s limited circuit automatic transfer switches are a great option for homes where the electrical panel is located outside. These switches are compatible with breakers manufactured by Eaton, Siemens, or Squared D, With the use of tandem breakers, this switch can be expanded to 24 circuits. Accepts Arc Fault Breakers. 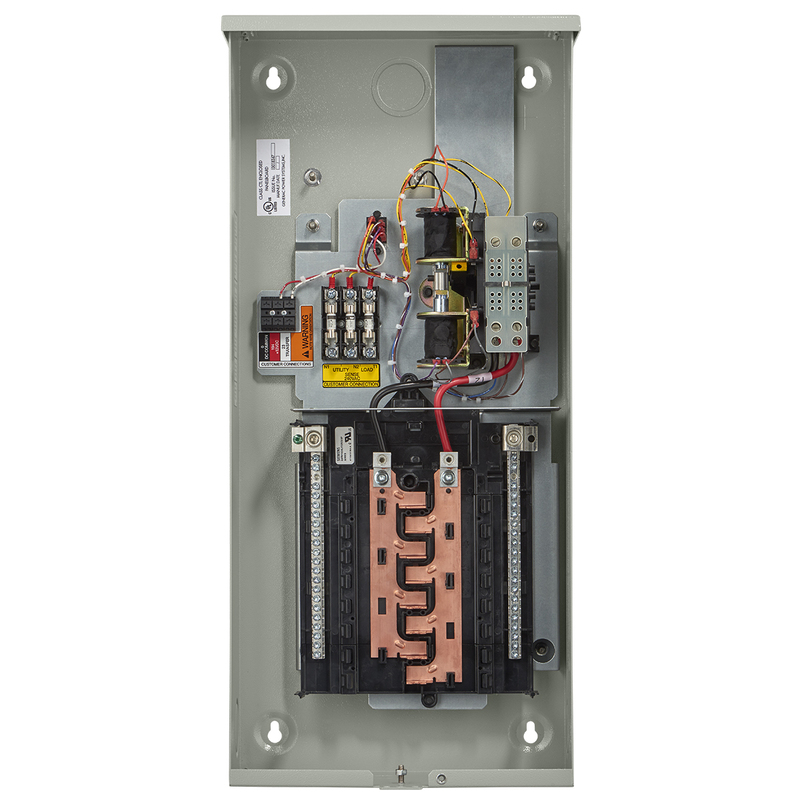 This automatic transfer switch is housed in an all weather, aluminum Nema 3R enclosure. 30 foot pre wired conduit connects transfer switch to external box. 2 foot pre wired conduit for moving circuits from the main panel to the transfer switch. Pre wired external connection box with weatherproof conduit for generator connections.